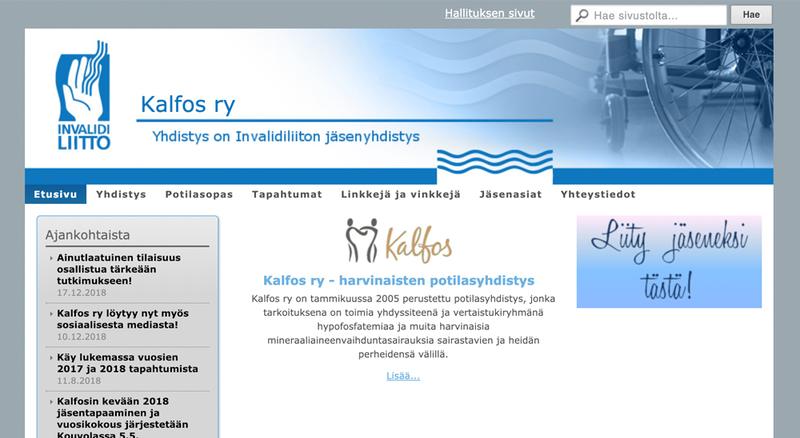 Kalfos Ry is a registered organisation focused on X-linked Hypophosphatemia and other related rare bone disorders. Our mission is to connect patients and their families and offer emotional and practical support. We organise meet-ups, offer information, and share personal experiences about living with XLH. Joining our organisation will give you a chance to be a part of our great XLH family in Finland. Feel free to contact us!